´Rhythm is something you either have or you don´t have... but when you have it, you have it all over´. 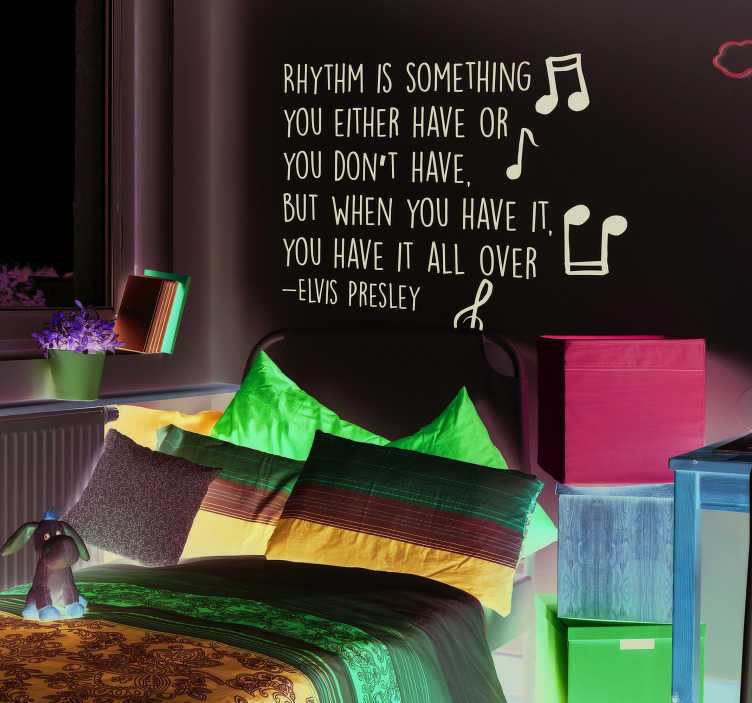 Who had more rhythm than Elvis Presley; thus, who is better placed to adorn this musical wall sticker promoting the benefits of having rhythm! Ideal music decor for all those who just can´t stop dancing!